The Institute and Faculty of Actuaries’ (IFoA) Actuarial Research Centre (ARC) research programmes aim to be relevant to the global actuarial community, with genuine application for practitioners, clear impact for industry and potential to influence public policy. We're proud of the cutting edge research, delivered in partnerhsip and in the public interst. Starting a discussion about how we can work together is easy. Connect with us today! Our Research and Thought Leadership Committee (RTLC) ensures that the research we deliver is true to our public interest mission. The RTLC oversees coverage, dissemination, quality and funding of research and thought leadership activity, including activities delivered through the ARC. Our ARC programmes are intended to be ‘game changers’ for the world of actuarial science and the industries it supports. Industry, international and public policy relevance of ARC research programmes is ensured through partnering with others – in both commissioning and sponsoring programmes. If you would be interested in getting involved with any of the existing research programmes, or have identified your own research gaps that could be addressed through the ARC, please contact the ARC mailbox. ARC research aims to achieve maximum impact through wide dissemination and application of its outputs. ARC partners are available to present at your conferences and events, or provide articles for your publications. Equally, your organisation has the opportunity to partner on ARC events and materials, raising awareness of your brand and your involvement in developing industry relevant research. Are you part of a university department or a research-led organisation? The ARC is a global network of researchers, and opportunities are open to applications from anywhere in the world. We would welcome your input! All new calls for research, ARC PhD studentship and post-doctoral opportunities will be posted on our website. Professor Andrew Cairns has a global reputation for research, for which he has won numerous awards, and has held a number of senior positions in his university department. He is Professor of Financial Mathematics at Heriot-Watt University, qualified as a Fellow of the Faculty of Actuaries in 1993 and is an active volunteer within the UK and international actuarial professions. Since 1996 he has been an editor of ASTIN Bulletin - the Journal of the International Actuarial Association, and has been editor-in-chief since 2005. His research interests concern valuation and risk management of long term insurance and pensions business, and he is a leading international expert on the modelling, measurement and management of longevity risk. Andrew has been the Director of the original ARC since 2012 and now takes on the expanded ARC Director role. 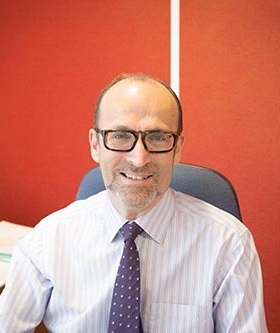 Professor Steven Haberman is Professor of Actuarial Science at Cass Business School, City University London, where he has held a number of senior leadership positions, including the role of Dean until 2015. Through his work at Cass Business School, he has worked to build bridges between academic research and industry, and has successfully led a number of collaborative and impactful projects with industry. He has served on the Council of the Institute of Actuaries and was an inaugural member of the Financial Reporting Council’s Board for Actuarial Standards. Steven has co-authored 5 books. He has done research on a range of subjects, including longevity and mortality dynamics, pensions modelling and premium setting, and has published papers in leading international journals. He was a founding editor of the Journal of Pension Economics and Finance. He is a Fellow of the Institute of Actuaries, Royal Statistical Society and Institute of Mathematics and its Applications. If you are interested in partnering or accessing the ARC’s research for your community, please contact the ARC mailbox below.